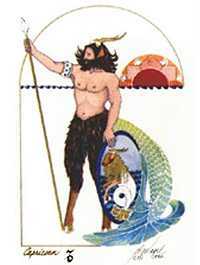 Capricorn ruling the first house raises the competitive spirit and by no means dictates the presence of a sombre or colourless personality. On the contrary, it implies individuals with overcompensatingly cheerful personalities, who willingly accept responsibilities and hardships which they feel they were born to endure. There is always a choice to be made and the right one is never easy, because it usually involves success which must be earned. Your abstemious eating habits help you avoid gaining too much weight. Sensitive skin, finely textured hair, brittle bones, and dental difficulties are common physical complaints.